Map of all installed frames. 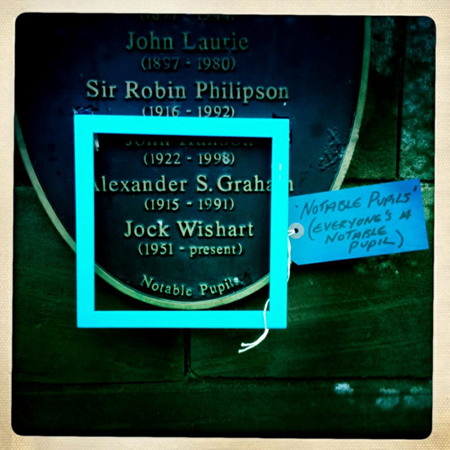 This project was one of six creative research led artist projects commissioned by The Stove for their program, Inbetween:Dumfries running 7-10th November 2012. 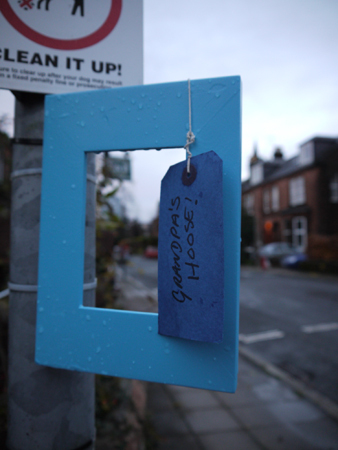 The Stove is a collective of local artists and the event consisted of a series of specially commissioned projects presented in the public spaces of Dumfries. A two-day discussion program presented by Intersections Public Art focused on the role of culture in the development of small market towns during which I led a public art intervention with the delegates. Being a landscape architect and artist I’m drawn to concentrate and explore the open space and trying to find its true self; its heart and essence. 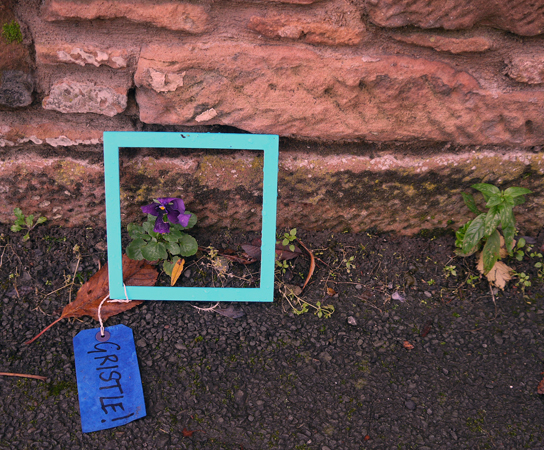 As a visitor, walking through the streets of Dumfries I found many interesting details: a horseshoe as part of a fence, murals on closed shop fronts, flowers behind a corner, splashes of colour, interesting architectural details on buildings and views to the River Nith. But I also found broken pavements and fences, empty shops and big car park areas. 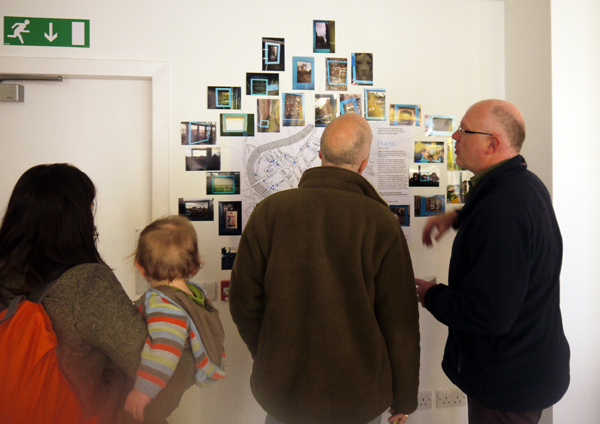 In order to add personal views and stories I invited Inbetween:Dumfries delegates to explore and take a closer look at Dumfries. 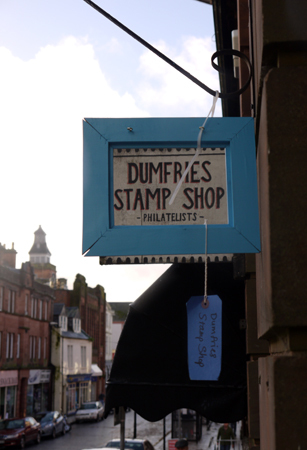 I wanted to explore what the delegates would emphasise that makes Dumfries a personal and welcoming place. 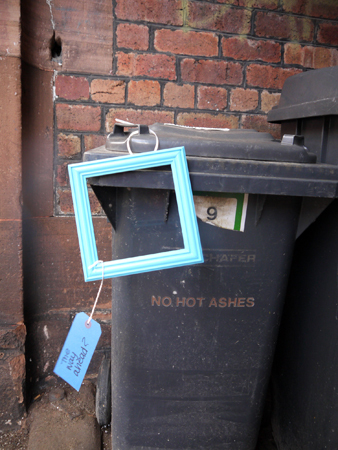 They were asked to install a picture frame each within a given street in the town centre of Dumfries and title it. 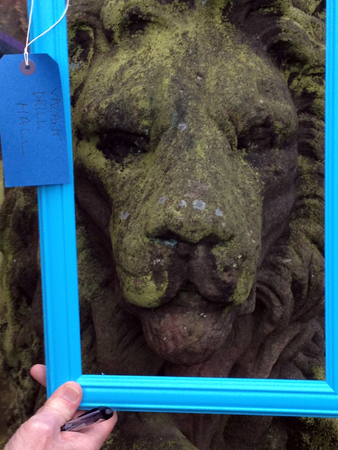 The picture frame were off different shapes and sizes but in the same colour, a light blue. 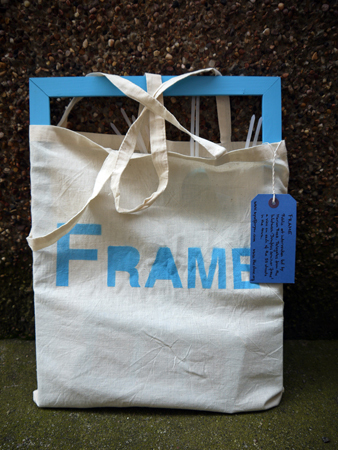 ‘Frame’ created a link between the Inbetween:Dumfries delegates from differing places and backgrounds within the UK and the local residents. 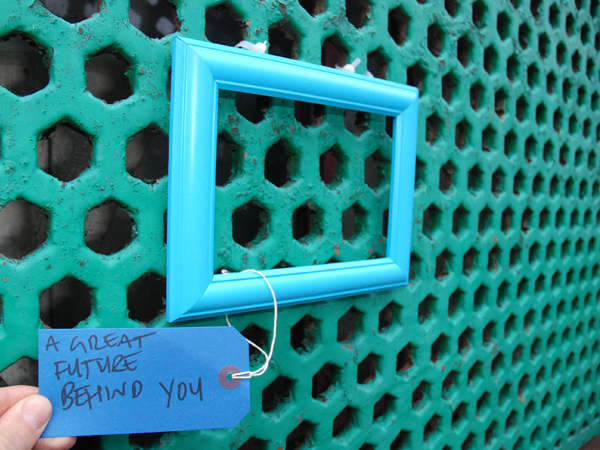 On the one hand the event participants were able to make their ideas public but also got the chance to explore Dumfries by contextualising their opinions on sustainability and cultural regeneration into a real and specific context. On the other hand the residents of Dumfries were made aware that this event took place as well as got a chance to explore the discussed topics and saw their hometown from a different point of view. I also produced a ‘Frame’ map of Dumfries town centre with all 36 picture frame locations as well as the frame titles marked. These were handed out to the delegates and local residents. 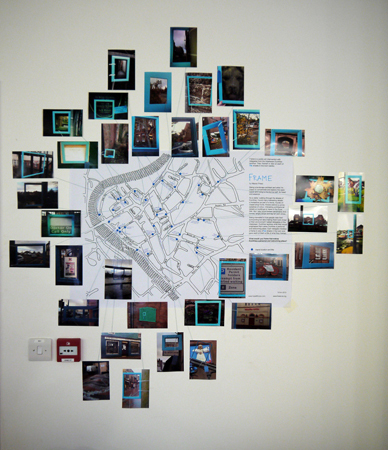 All frame photographs taken by the delegates got printed and installed with a map showing the frame locations and frame titles within The Stove building. 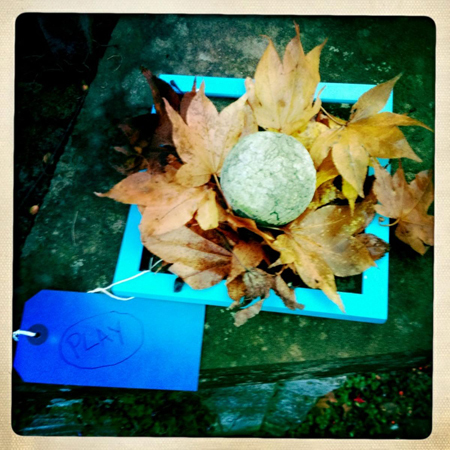 Photographs by delegates and Marion Preez.